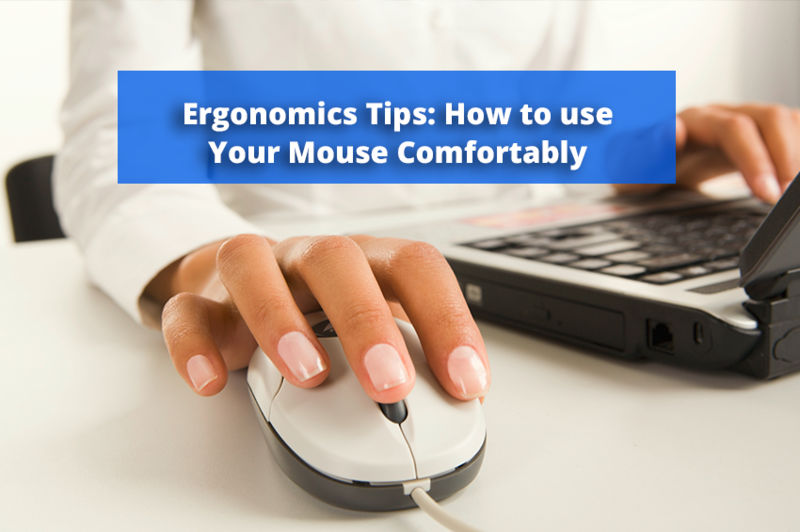 Ergonomics Tips: 4 Tips to use Your Mouse in Comfort - Solutions Northwest, Inc.
No matter how well a workstation is set up, repetitive work with a mouse may still lead to workplace injury if you do not properly care for your hand. Whether you work in an office or need to use a mouse for industrial or retail work, you’ve noticed that overusing the mouse doesn’t feel very good. But if your job requires you to use a mouse, then what are your options to avoid pain or workplace injuries such as repetitive stress injury (RSI)? Improper grip puts you at risk for cumulative trauma injuries. When you are involved in prolonged or repetitive activities at your workstation, keeping the mouse gripped in your hand the whole time contracts the muscles without a break. Be sure to give your grip a break and grip the mouse softly, like it is a raw egg that you don’t want to crack. Begin with your open hand (exhibit a) and make a fist with your thumb straight and not tucked under your fingers (exhibit b). Then, (exhibit c) slide your fingertips up the palm of your hand. Move the tips of your fingers to the base of your fingers and you should feel a stretch. Do not force this movement if something is painful. Sitting with your elbows on the desk and palms in prayer position, slowly lower your wrists to the table until you feel a stretch. Keep your palms together throughout the stretch. Hold 5 to 7 seconds, relax, and repeat 3 times. Grab your hand and hold your fingers, begin to slowly bend your wrist down until you feel the stretch. Hold for 3 to 5 seconds, relax, and repeat 3 times. Next, slowly bend your wrist up until you feel the stretch. Hold for 3 to 5 seconds, relax, and repeat 3 times. Another option is the ambidextrous trackball mouse. A trackball mouse, unlike a regular mouse, remains stationary and has a ball on its top or side. In addition to the ball, a trackball commonly has one or more buttons that work like mouse buttons. At Solutions Northwest Inc., we recommend trackballs with a ball in the center rather than the side to minimize the risk of thumb tendonitis. Read the guide about trackball mouse options on our blog. Whatever you do, always remain proactive about your health in the workplace. Hopefully these ergonomics tips can help keep your workplace a safe work place. For more guidance on all work related health and safety issues, visit SolutionsNW.com or Contact Us for more information. Be sure to subscribe to our blog for more ergonomics tips from Solutions Northwest Inc., ergonomics consultants located in Washington State, Kent, Renton, Arcadia, Northern California, Oregon, Seattle, Olympia, Tacoma, and Portland. How to improve your workstation for efficiency and productivity.